Add Some Flair To Your Baby Beanies! If you are looking for something to make your baby beanie just a little different, wacky, or just simply cute, an image search within your browser will give you a visual delight of plenty idea's! 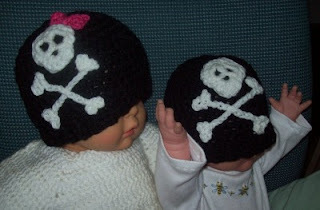 I used my ribbed look baby beanie pattern for the hat and I found the skull and cross bones, (I had to use the way back machine to get this link) here. They may not be to every ones taste, but to some I bet they'd love em! The hat with the little heart is my ribbed look baby beanie (link above), I found a very quick crochet heart to make and sewed it on. 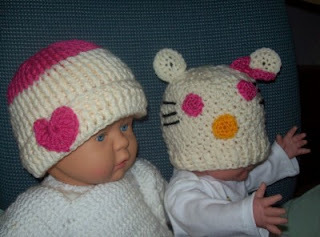 The other kitty hat can be found in an image search too, I did not follow a pattern, I used different sized circles and made a bow. 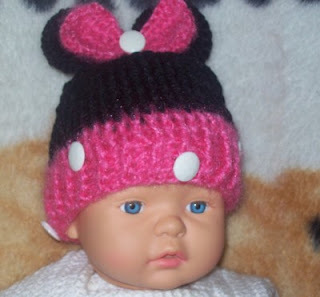 Once again using my ribbed look baby beanie pattern, an image search gave me plenty of idea's for a Minnie Hat. Just a pretty bow and a few buttons gave me my Minnie look. 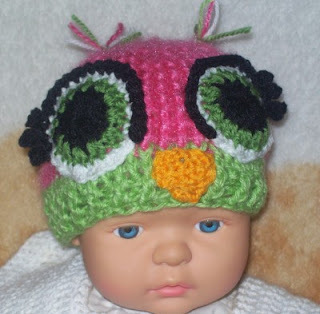 I was inspired by several owl look, hat images to achieve the owl, on the hat below. 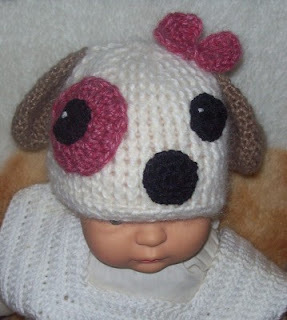 Once again, I was inspired by several puppy look, hat images to achieve the puppy, on the hat below. 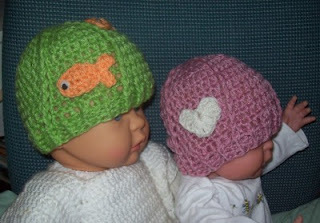 I used my little twister baby hat pattern and found a cute little fish applique here. I used the large guppy. Here are a few more that may get you started, all free on line. Good luck with your project, I’d love to hear your feed back. Labels: Beanie-Babe, crochet, crochet applique, Crochet for Baby, free crochet patterns, free hat, free pattern, free pattern. 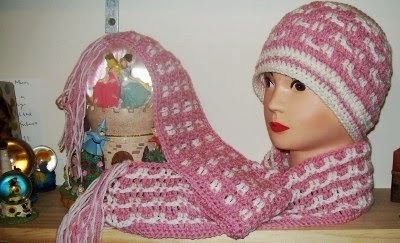 crochet hat., Small Gift Ideas.